This guitar is in overall great condition with only light players wear exhibited such as light scratches on the back too difficult to photograph all but exhibits no major wear outside of that. Has been professionally setup and is in proper playing condition. 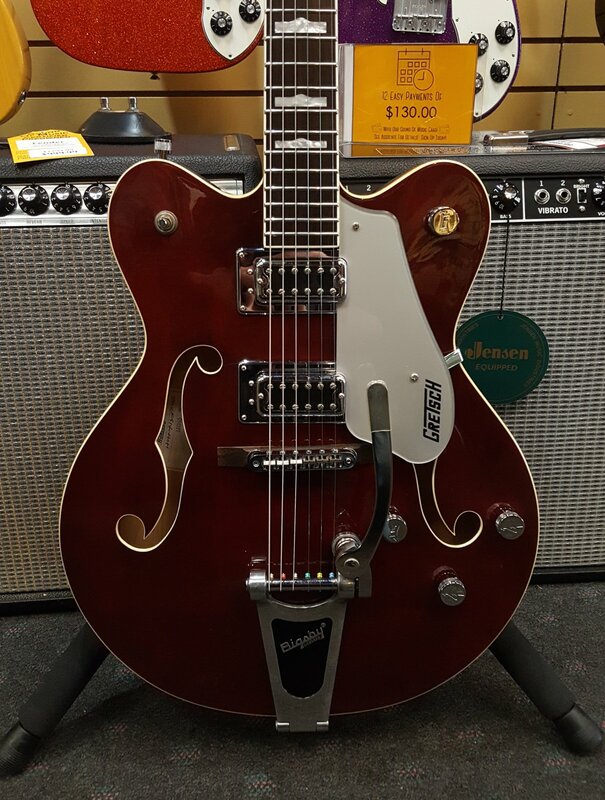 Includes Gretsch hardshell case.